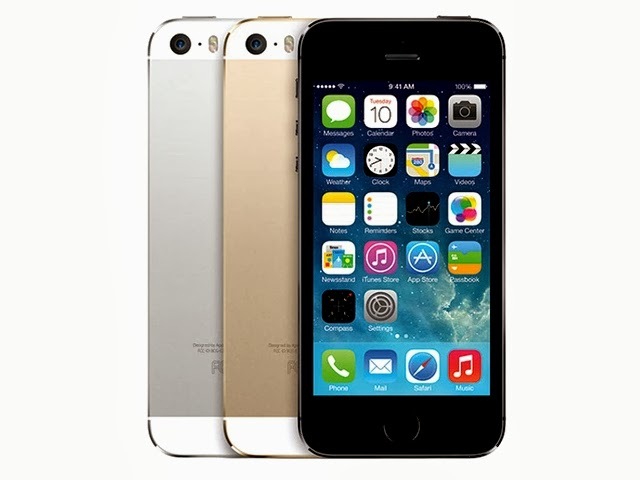 As you all know that Iphone 5s is the latest and newer smartphone released by the Apple! But do you know about its features? Whats new in the apple's new release? If not then you must to know about it. The new Iphone 5s comes to market on September 18 of 2013 with its good looking, cool and Wonderful Features. The iphone 5s looks very nice in the first glance did you got a chance to see it? Now let have a look to the features of new iphone 5s Which make it perfect.Right? Iphone 5s comes with 64-bit A7 chip, So it means that the iphone 5s is the world first smartphone powered by 64-bit chip. This new A7 chip makes the CPU and graphics performance two-times faster than the A6 chip[Used in Iphone 5]. The most wonderful Feature of the new Iphone 5s is inclusion of "FingerPrint" identity sensor is integrated with the phone home's button. 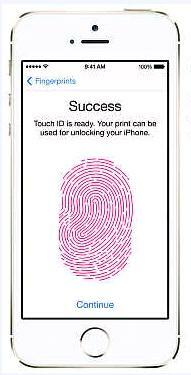 This Touch ID 'Fingerprint' recognition will be used not only for unlocking the phone but also for approving purchases on Apps Store,ibooks or iTunes store. Touch ID app is capable of 360 degree read-ablity which will allow you to enter your fingerprints in any position you want i.e in portrait, Landscape etc. Even it also supports multiple fingerprints on the same device. which makes the iphone 5s More efficient. The new iPhone has a good feature that is efficiency. The A7 Processor is supported by its M7 coprocessor. i.e gyroscope, accelero-meter etc. The measured values are sent to the fitness app (without using the A7 processor) and as a result the phone speed and battery life getting improvement. Now if we look at it camera then the new iphone 5s has an eight(8) Mega pixels Camera as was in the previous version iPhone 5. But the iPhone 5s has some new features i.e Having 15 percent of larger sensor, Bigger pixels measuring[1.5 microns] and an aperture of f/2.2 which allowing more light to come in and capture much better picture for you. The camera has a new continiuous burst mode which will allow you to capture upto 10 photos per second. The camera comes with the True Tone Flash that has a white LED and amber LED. These two LED works with software algorithms, adjusting accurate flash intensity and color temperature, with 1000+ unique combinations of light which will give you perfect flashlight to get a better shoot. And also added some more new features and modes. iPhone 5s has a 1.2 Mega-Pexals FrontFacing Camera along with a BSI (Back-side illumination) sensor to capture pictures in low-light and also support for recording 720p HD videos. It means that the Fron-face camera had also been improved like the rare camera. Whether you are looking for a laptop or a mobile phone, Battery life playing a viral role, when you're going to buy these things you must to know first which one will be better in battery life. And if you want to know about the Battery life of the iphone 5s then the company tells that you can surf up-to 10 hours of talk-time on 3G and standby time of 250 hours on iPhone 5s while in the 'iPhone 5' it was 8 hours and 225 hours talk-time on 3G and Standby Respectively. It means that the battery life is also improved in iPhone 5s. Great Information! I looking forward to visit this site often..
Keep visiting this blog, you'll get some useful stuff. i learnt the finger print sensor has been hacked b y a German.how true? Thats true!, The Finger Print Touch Id in Iphone 5s Hacked by the german' group CCC (Chaos Computer Club).